We had a little bit of rain today but we didn't let it ruin our last day! Morning worship was inside but still in the acoustic format it would have been out in the amphitheater. It was a great wrap up of the week! Campers did their last rotation this morning to make up for one that was rained out earlier in the week. After rotations we headed to Lookout Lodge for lunch! After lunch we had a couple hours of recreation time to play ga-ga, volleyball, nine square, basketball, or to sit and talk with friends. Around three, campers came inside for a time of worship and testimonies. Some staff members and counselors shared with the group their testimonies and we prayed over them, and over all of the campers. 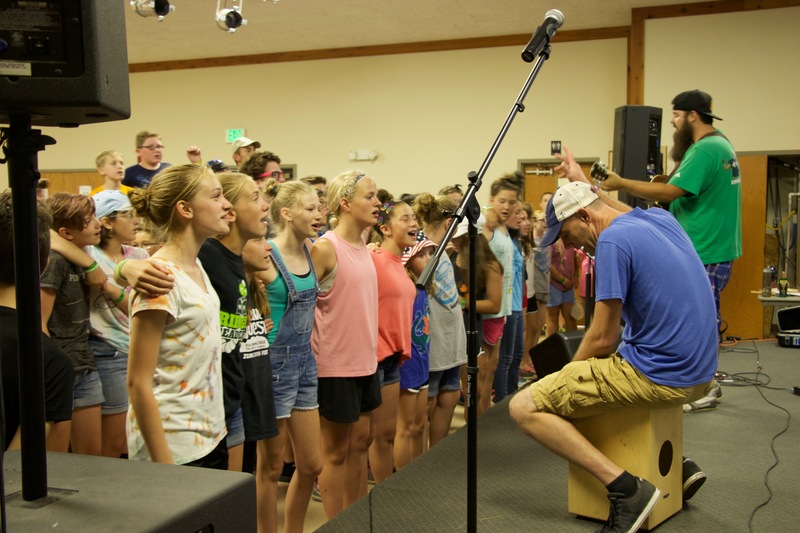 We had worship inside and afterwards campers headed to their cabins to start packing up to go home. We ate pizza in the lodge for dinner and then it was time for parents to come get campers! There was a short closing ceremony where our Camp Manager, Paul, spoke briefly and then we watched the end of the week video. Campers exchanged contact information and said goodbye for now to all of their new friends and then they headed home. Our last full day of camp this week has gone so well! 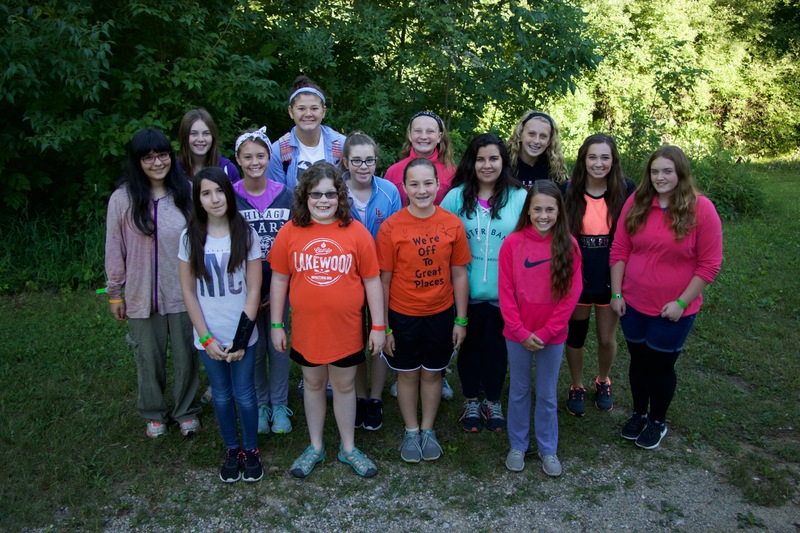 Small groups met and cabins were cleaned for Camp Beautiful. 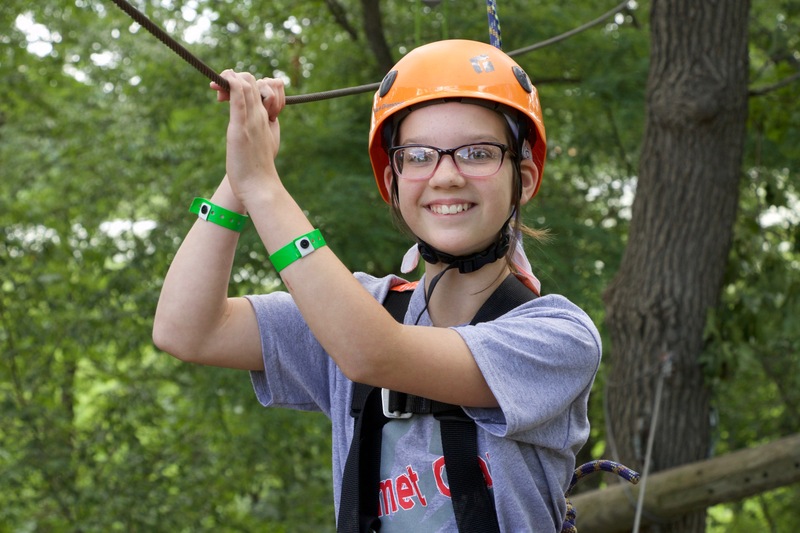 Throughout the days this week campers were eager to share their testimonies and get to know the other campers in their cabins and in their small groups. During free periods you could walk around camp and see circles of campers listening to one of their peers talk about their relationship with Christ. It was touching and a very cool part of this week of camp. After lunch we went to afternoon rotations at the pool, blob, high and low ropes, and canoes. After dinner we had Bible Quiz with the staff. The last day of Bible Quiz went well and our hosts, Kirsten and Kaity, had a blast hosting it for the campers. For Thursday's game campers went down the slip-and-slide! Then they headed over to the pool for an evening swim. Our Favorite Part of the Day! Evening Worship! Tonight we sang Let it be Known, Deep Cries Out, The Stand, and Set a Fire. Tonight John asked us if we were living in God's ways. He talked about the story of the good Samaritan that stopped and helped a hurt man in Luke 10: 25-37. The Samaritan would not be the person that anyone would expect to help the injured man. Samaritans were hated and looked down on. Sometimes the people you expect to help don't, and the people you don't expect to help do! We don't serve other people for our own glory, we should serve our family, friends, and even strangers for the glory of God! Some of us are like the priest in the story of the good Samaritan, we know the rules but we don't act on them every day. We were encouraged to serve those around us, to love strangers, and to follow the rules God has set out for us so that we can be the best that we can be. Campers had the opportunity tonight to serve one another communion. The camp fire that we had planned for tonight was rained out so camper headed to bed early. 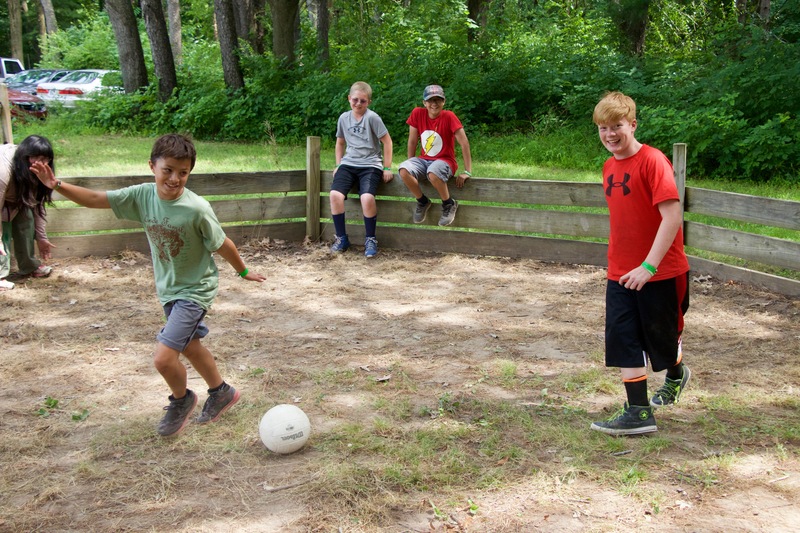 The Mid-week slump doesn't happen at camp! Campers were up and ready to go this morning with a lot of energy! Again, we began our day with morning worship and cabin devotionals, then rec time before lunch. After lunch campers had horizontal hour and then headed out to rotations! After each rotation the CA staff member(s) working at that rotation do a debrief. A debrief is a short summary of why we do this activity at camp and how we can relate what we have learned here to our walk with God. For example, at low ropes there is an element called the swinging log. It is a log tied about a foot off of the ground from a tree and we have all of the campers in a group sit/stand on the log at once. Once they are on the log, everyone has to stop touching the ground long enough to sing a short song: sometimes the alphabet, sometimes Jesus Loves Me. 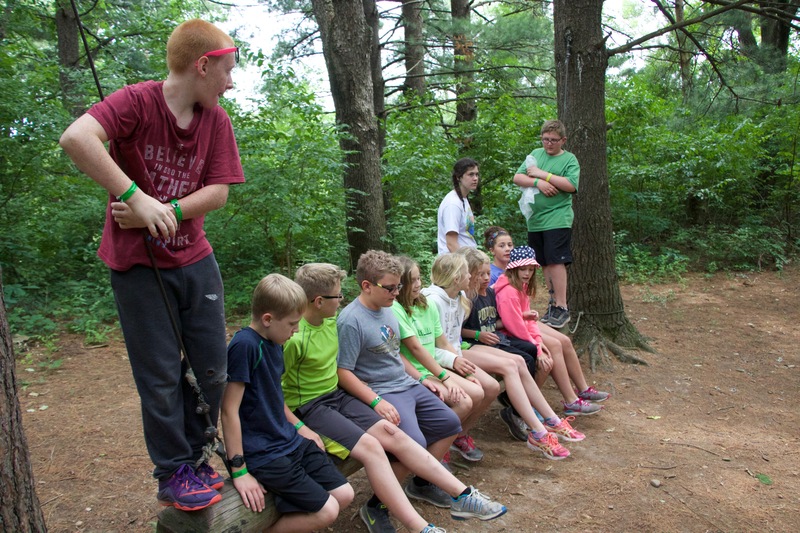 With a big group of campers, it is hard to get everyone balanced on the log! It takes teamwork, holding on to each other, and determination to finish the element. One of the possible debriefs for the swinging log would be that in our lives, we need balance. If we sit on one side of the log, it swings into the tree, but if someone joins us and sits on the other side, or if we move to the middle, it balances. We need to find a balance in our lives between free time and scheduled time, between spending quality time with God and doing all of our activities. When we don't make time to take care of ourselves and our relationship with God, oftentimes, we swing into a tree. Each element has tons of possible debriefs because there are so many different ways to relate the things that we do back to God! After dinnertime campers had All Camp Games! Today's game was pool olympics! They played a game where they threw a ball out of the water into a goal, they went down the slip and slide on a pool floatie, and they played water volleyball that used our staff members as the net! 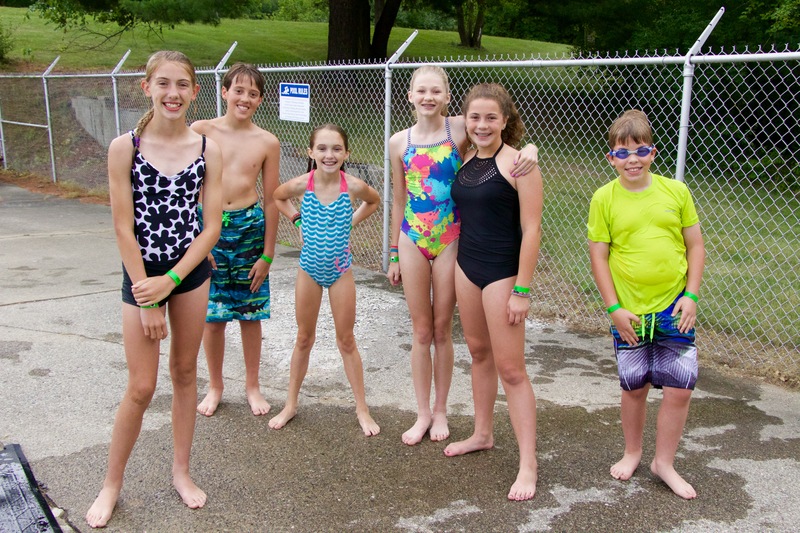 After pool olympics were over we opened the pool for a free swim time and had a blast! Evening worship came next in the night. We sang Let It Be Known, One Thing Remains, Your Love Never Fails, and Overcome. John Ellegood, the speaker for the week, talked about how God uses imperfect people to carry out his purposes. He gave examples of Moses, Noah, and even some of Jesus's own disciples who had made major mistakes in their life, but who still did wonderful work for the kingdom of God. It takes time to become a disciple of Christ. Luke 9: 23-24 says, "Then he said to them all: “Whoever wants to be my disciple must deny themselves and take up their cross daily and follow me. For whoever wants to save their life will lose it, but whoever loses their life for me will save it." Following Jesus is about denying ourselves, taking up our cross daily, and following Jesus's example. We are called to live here and now a life that is centered on His promises and faithfulness. God searches our hearts. He doesn't want us to just change the way that we act, He wants our hearts to change. When our hearts change, that causes us to take the next step in our relationship with God. Campers were asked to think about their next steps. How can we draw closer to God, what can you commit to God that will help you draw nearer to Him? 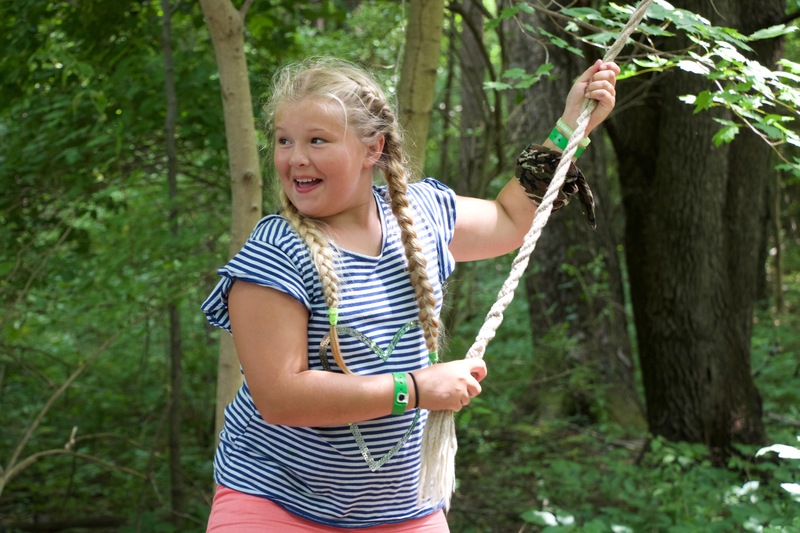 Campers were given a bracelet that says "Camp Adventure Commitment to Discipleship." The bracelet glows in the dark to help us remember that serving God is for all of the time, not just when life is easy; in the dark and the light. 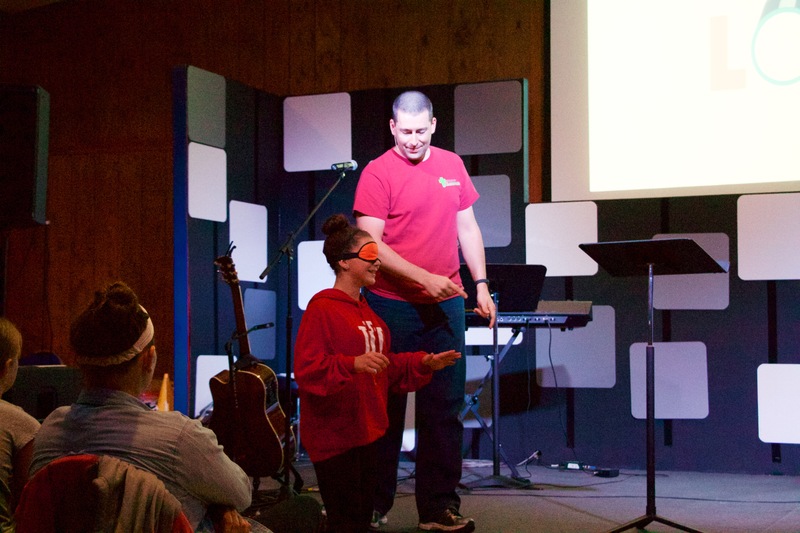 They were encouraged to pray with their cabins, counselors, and the staff if they would like to. One of our favorite parts of this week has been the evening campfires. Tonight, two more staff members, Jenna and Edgar, shared their testimonies. Many of the campers said that they related to what they were saying and that parts of Jenna and Edgar's story helped them to better understand parts of their own. After more wonderful and life giving prayer, campers headed to their cabin for night time devos and bedtime. Day two began with breakfast and morning worship. After worship campers had morning devotion time within their Home in the Woods groups. After lunch campers had horizontal hour and then began afternoon rotations. The weather was beautiful and we had a great time! Dinnertime was wonderful and campers had a laugh at Bible Quiz with the staff. The game after dinner tonight was so much fun! 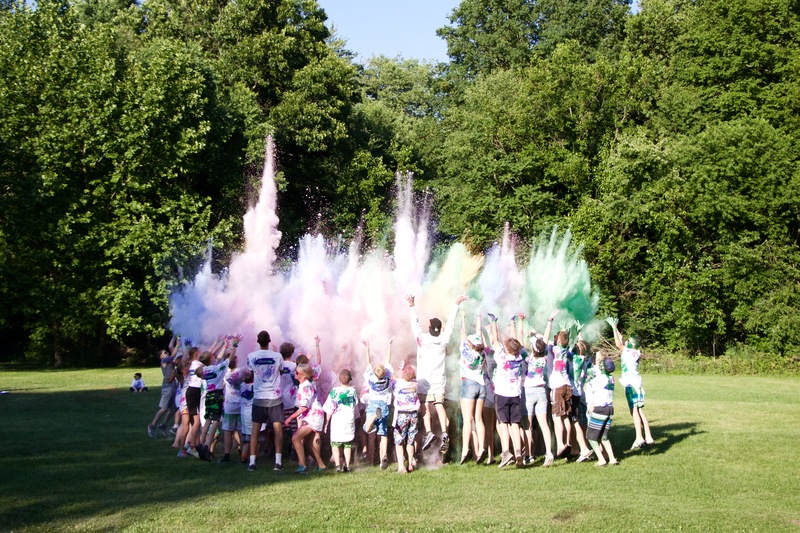 Campers received white shirts and sunglasses and that got handfuls of powder paint to throw at one another! After the dry powder paint, campers took water bottles with holes drilled in the tops and squirted each other with liquid paint! 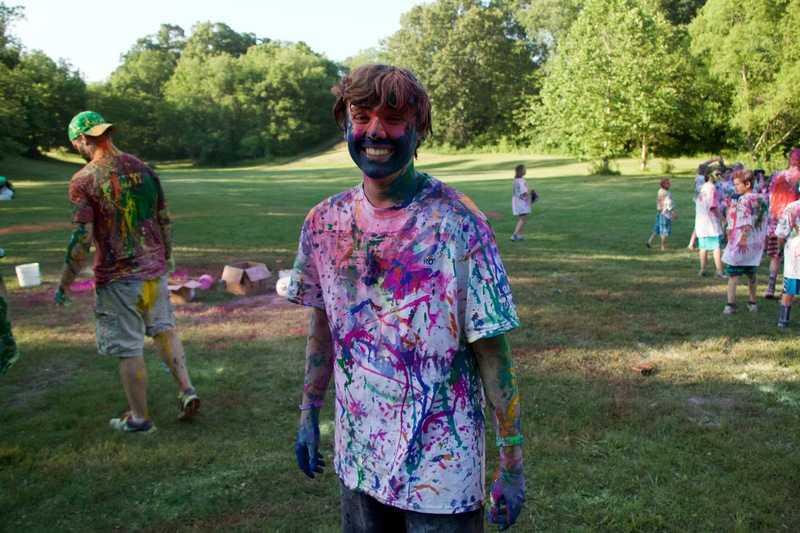 After this very messy game, staffers hosed off campers and they got into the pool before evening worship. Today we sang Deep Cries Out, This is Amazing Grace, From the Inside Out, and Love Song. John Ellegood spoke again tonight. This evening his topic was the path that God has for our lives. 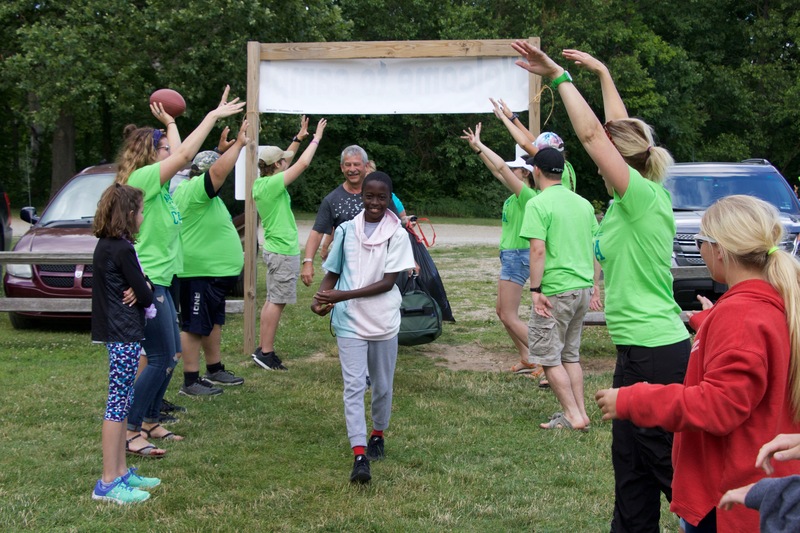 A camper named Madeline put on a blindfold and listened to John as he tried to lead her in a straight line when she could not see. This tied into the sermon because we need to trust God, like Madeline trusted John, even when we cannot see what's in front of us. The word Gospel means good news. The Gospel is the good news of Jesus coming to Earth and dying for us! The Lord waits for us to answer the knock on the door of our hearts. He waits for us to let him in and be a part of our lives. Once we answer his invitation, our lives will never be the same. We asked campers to answer the knock on their door. They were welcome to pray to themselves, with their cabin, counselors, or staff and they did! 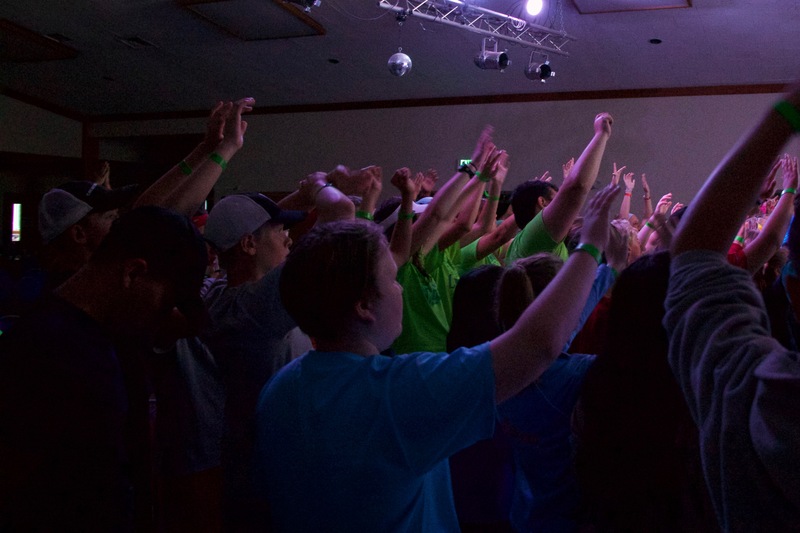 Campers responded with the boldness of the Holy Spirit to the call of the Lord and some gave their lives to Him! The room was filled with quiet prayers, tears, and laughter as break-through happened in the spirits of young lives. It was a beautiful thing to witness. Our worship continued outside around the campfire, spontaneous worship happened before the band arrived and we sang Start A Fire. More testimonies were shared and we prayed over those who shared. Tuesday was a wonderful day. Campers began their day bright and early with an 8:00 am breakfast! After cleaning up, campers took cabin photos and our big group photo. We attended morning worship in our outdoor amphitheater. It was a beautiful acoustic session and a wonderful way to start our day as we talked about Scripture. 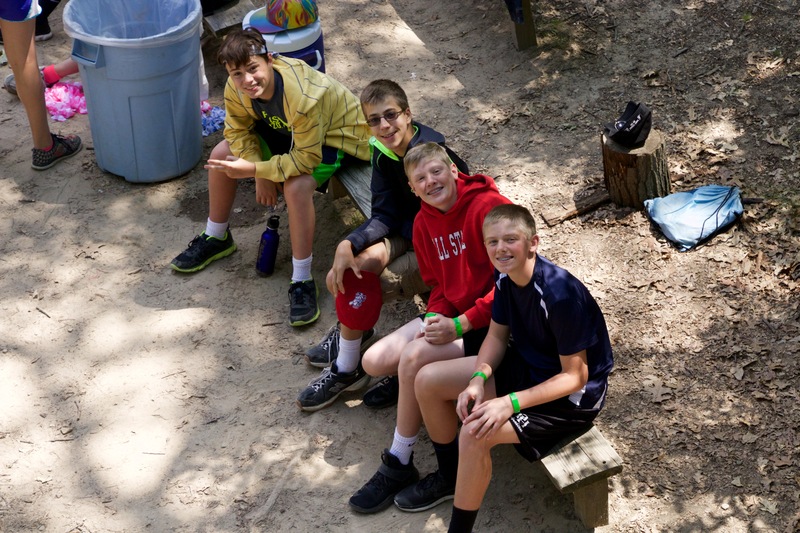 After worship, campers have Home in the Woods Group, which is spending time with their cabins. This includes recreation time playing ga-ga ball, nine square, basketball, or hanging out outside. Then lunch! After lunch every day campers go back to their cabin for an hour for horizontal hour. This is nap time! 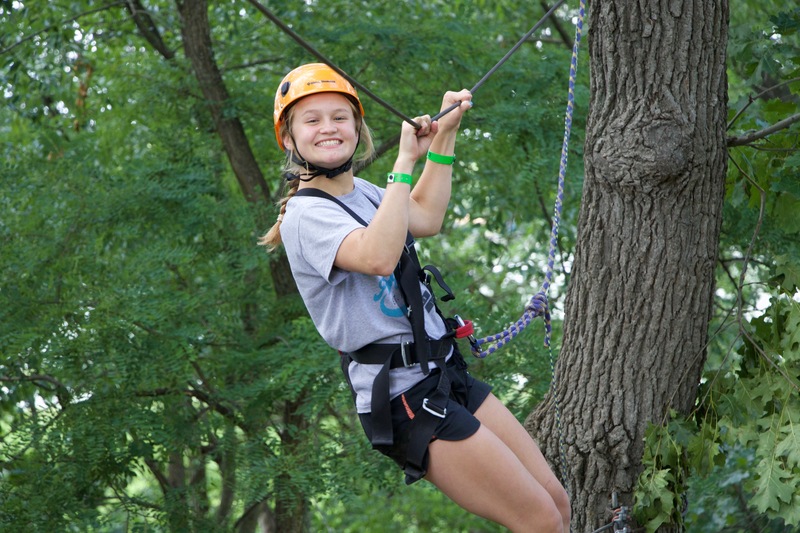 During rotations campers take part in all that Camp Adventure has to offer! 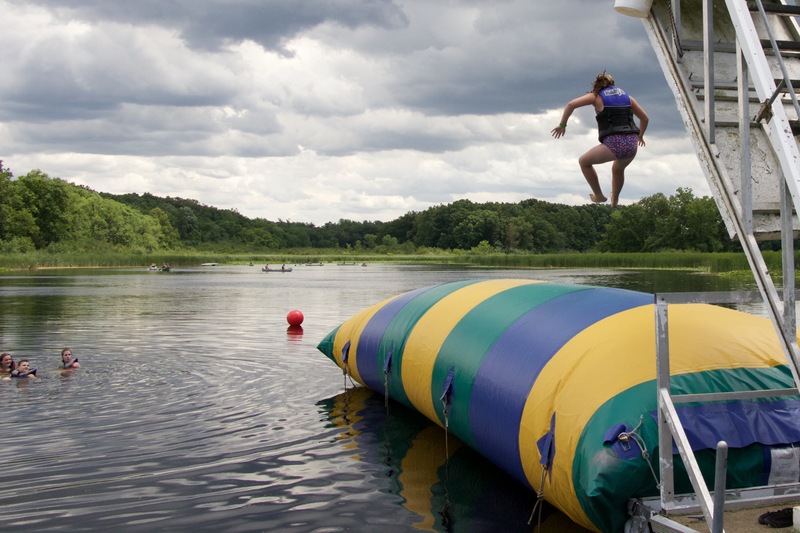 High and low ropes, canoes, paintball, the blob, and the pool! 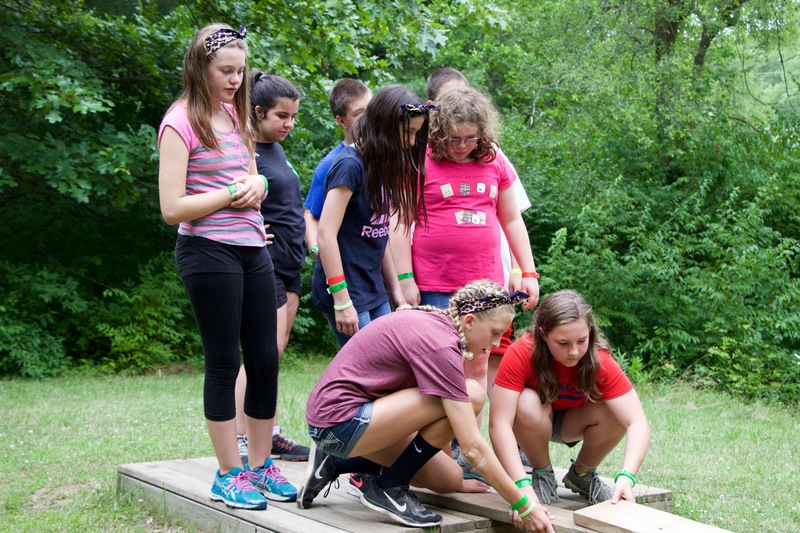 Throughout the week they split off with their Home in the Woods groups and do one of these activities, rotating through the week so that everyone gets to do everything if they choose to. There are two rotations per day, our first one today went really well! During the second rotation it began to rain so we sent campers back to their cabins until dinnertime to keep them safe. A little rain is nothing that we can't handle though and it cleared right up! After afternoon rotations campers clean up and get ready for dinner! When it's cleaned up campers get to spend an hour with Camp Adventure's incredible staff during Bible Quiz! Bible quiz is a game show set up like Jeopardy. Two members of our staff run it. They crack jokes and keep the campers entertained and learning! The categories include a variety of things including "Men of the Old Testament," "History of Camp Adventure," and "Know Your Staff!" 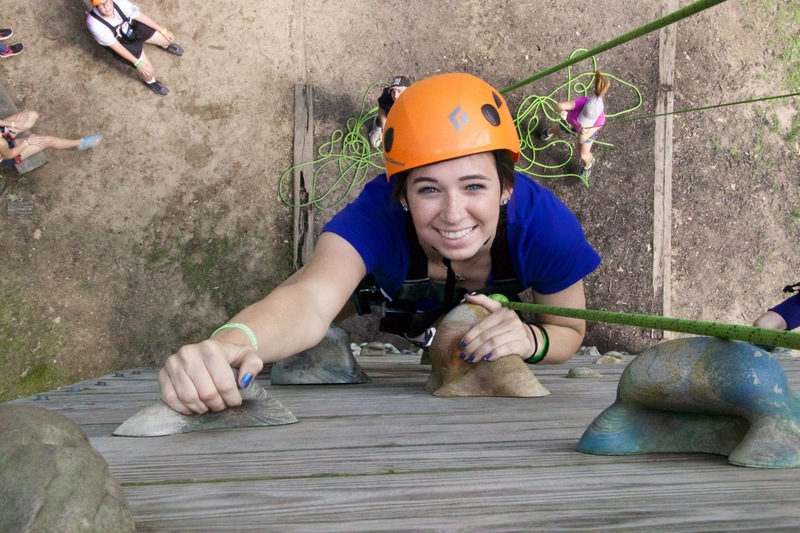 The campers love it and the staff enjoys it immensely! When Bible Quiz is finished campers have all camp games. 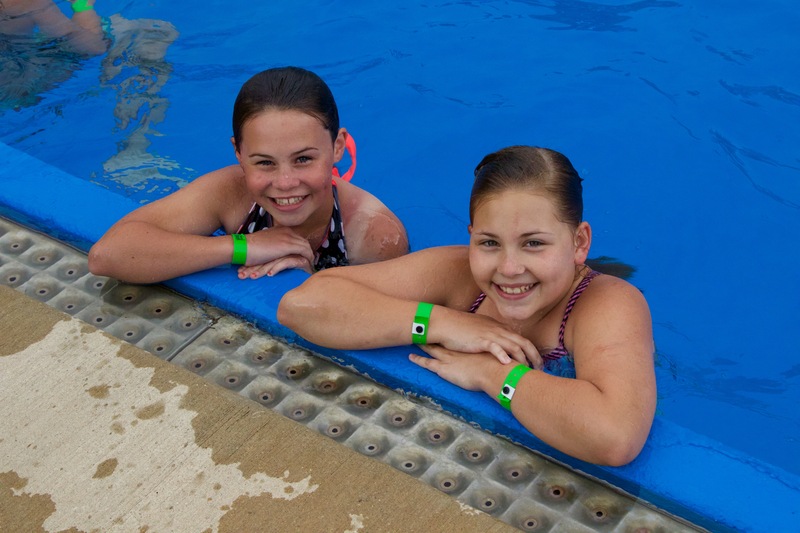 They are high energy games where we have a blast and afterwards we hop in the pool to cool down. After changing out of our swimsuits we come inside for evening worship. To begin worship we sang Unstoppable God, Deep Cries Out, Forever Reign, and No Longer Slaves. John Ellegood preached on the importance of keeping Scripture in the forefront of our minds. He gave examples of things that are out of sight and out of mind: tools that get lost in the garage, food that ends up in the back of the refrigerator, and exercise equipment in the basement. When we put Scripture out of sight, it is hard to remember what it says! God calls us to meditate on the word day and night. We need to read the Bible to know the character of God and in knowing God we better know ourselves. Campers were given the opportunity to share their favorite scriptures at an open microphone in front of the group. After worship, campers got a snack and headed out to a campfire in the valley. We sang with an acoustic guitar and enjoyed a time of quiet worship. One of our staff members, Kenny Parson, shared his testimony with the campers. After campfire, campers went back to their cabins for evening devotions and bedtime. Today was a lovely cool day to begin our camp week and it's off to a great start! 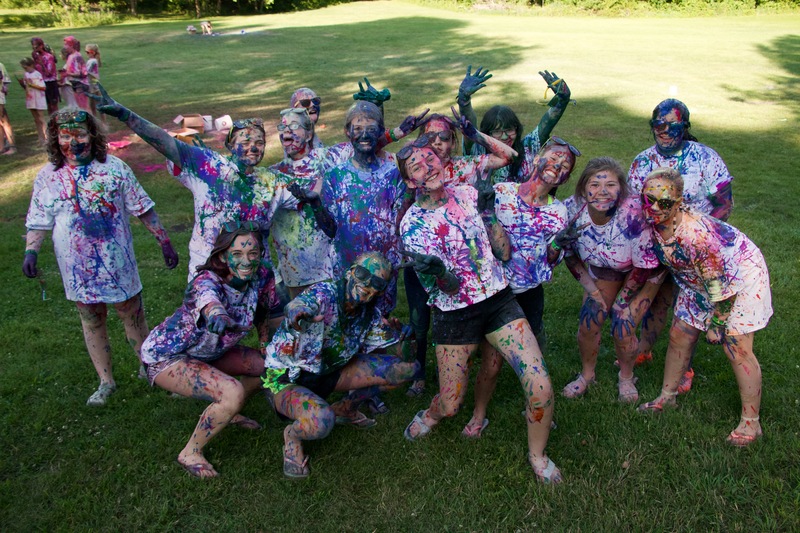 Campers arrived around six thirty and began to meet their cabin mates and counselors! 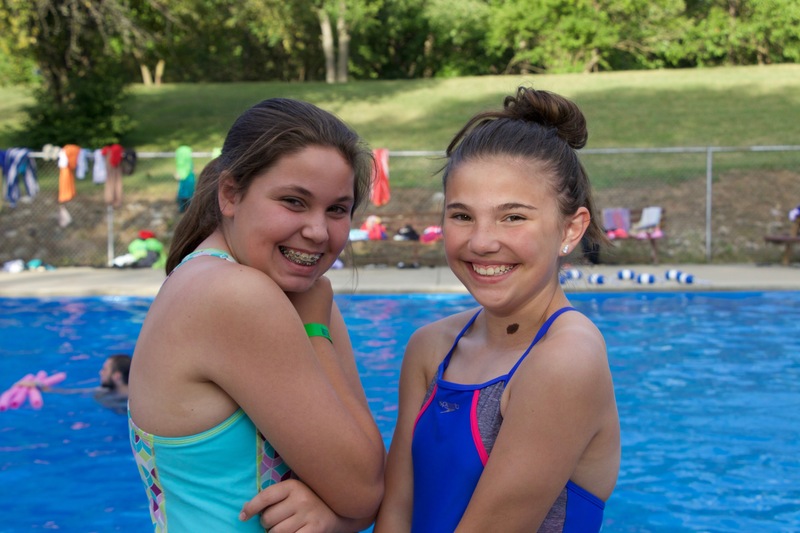 We got the week started with a swim test at the pool and had our first evening worship of the week! We started worship out on a fun note with a video going over camp rules that the directors had made while wearing lip retractors! Then we played a game called "Mix it Up" where campers got to introduce themselves to new people. During worship we sang Unstoppable God, This is Amazing Grace, The Stand, and Set a Fire. Each of the directors introduced themselves and put on blindfolds to demonstrate that going through the week blindfolded would not work because we should be able to see and look at what is going on around us. The theme of the week is Look. John Ellegood preached about looking versus seeking. Looking is taking in what is around us and seeking is searching for something specific, having a purpose for looking. We need to seek out God and know he is seeking us out as well. John shared the story of Saul (Paul) and how he had once persecuted Christians and when he realized the truth about God, something like scales fell off of his eyes. He could then see the way that he should, he was no longer blind to the ways of God. Matthew 6:22 "The eye is the lamp of the body. If your eyes are healthy, your whole body will be full of light. Campers were given the opportunity to pray within their cabins or with staff members and we symbolically wiped our eyes with water to represent that we will intentionally look for and seek out God this week. After evening worship campers got a snack and played a game with glow-sticks in the valley. Then campers headed to their cabins to do evening devotions before their first night's sleep at camp. Today was a wonderful day!